This level has hard difficulty and you need to use good technique to complete this level. 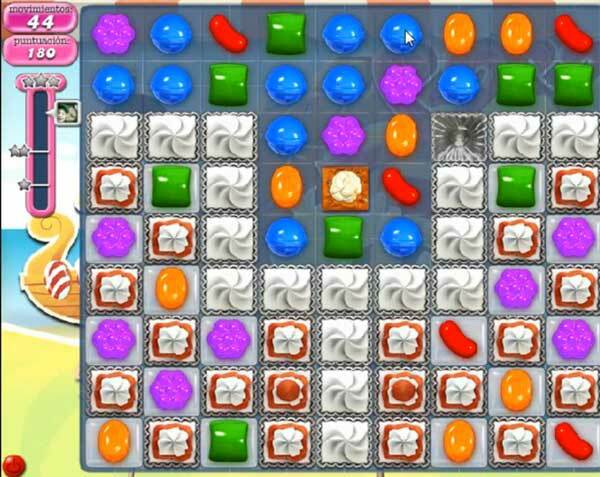 For this level you should try to play from the bottom to break the blocker plus try to break the pop corn by playing near to it to have colorbomb. After combine colorbomb with striped candy to break more blockers and jellies. After play near to remaining jelly or use special combo to reach the target. This is not what level 799 looks like in my game. In mine, I have to bring down a nut and two cherries and it has two lines moving, one on top and one on the bottom. What gives?